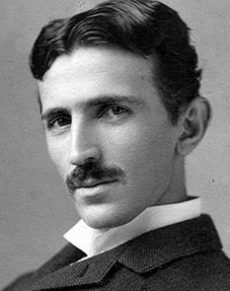 Serbian-American inventor best known for his contribution to the modern alternating current electricity supply system. Tesla was also instrumental in early developments of radar, x-rays and radio transmissions. The Tesla coil, invented in 1891, is still used in radio technology today. Upon his arrival in the United States, Tesla worked briefly with Thomas Edison before the two parted ways, reportedly acrimoniously. He sold a number of patents to businessman George Westinghouse, and through the Westinghouse Corporation Tesla continued to compete with Edison. Tesla died in New York City in 1943 aged 86.